MISSISSIPPI PROSPECTS ALL STATE GRIDIRON CLASSIC CANCELLED! Due to the unexpected loss of our beloved son Jonathan Ouder on September 13th we are cancelling the 3rd Annual Mississippi Prospects All State Gridiron Classic scheduled for December 27th-31st of this year. It is not our desire; however, in the interest of our family we have no choice at this time. It is our goal to resume planning and preparation to hold the games once again in 2019. Please accept our sincerest apologies. Thank you for your understanding, love, support and prayers as we begin a slow and gradual process to heal from such a tragic loss to our family. WORKING TO MAKE THE CLASSIC AN ANNUAL TRADITION! The vision and mission of the Mississippi Prospects All State Gridiron Classic is to bring together the citizens of the State of Mississippi annually in the City of Hattiesburg for unique All State Youth football event. The 3rd Annual All State games will build upon the successes of the first two years and will feature some of the top youth football players in grades 3-9 from across the entire state of Mississippi. Games will be played at the University of Southern Mississippi in Hattiesburg on December 30th and 31st and will give everyone involved an exciting and competitive game between our state’s top elite youth football players. Building on the program each year, our games will provide a positive environment for all who participate and allow players, coaches and families to experience the excitement and camaraderie surrounding an All-State Football event. For additional information or to nominate a player, please visit www.msprospects.com or contact us via email at mississippiprospects@gmail.com. 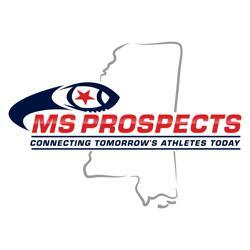 Follow us on social media: twitter @ms_prospects, facebook at Mississippi Prospects and Instagram at msprospects. We look forward to seeing you in Hattiesburg in December! Mississippi Prospects will honor full refund requests equaling 100% of the registration amount on or before the date that the uniform order is placed (November 7th). Requests for refunds after this date will be denied. If a paid participant requests a refund after November 7th Mississippi Prospects will not refund the registration. Mississippi Prospects will provide the complete Uniform (Jersey, Pants, Compression Shirt, and Socks) and Backpack to the member that declares non-participation after the November 7th refund deadline. Members who seek a refund after the deadline can either pick up their bag a opening ceremonies or provide postage to Mississippi Prospects and we will gladly send it in the mail. For all your insurance needs, contact Advantage Insurance Company. Licensed in Mississippi and Louisiana. 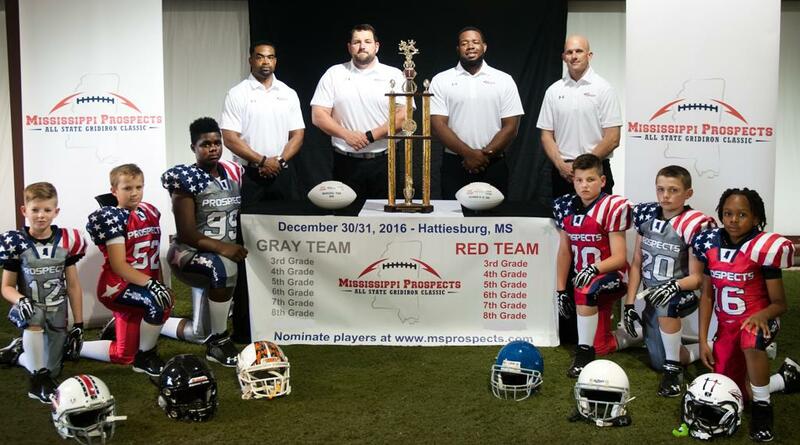 Proud sponsor of the Mississippi Prospects All State Gridiron Classic. Mississippi Prospects is looking for corporate sponsorship for the 2018 Mississippi Prospects All State Gridiron Classic. Generous organizations with a commitment to our youth will help make the second annual Classic a successful event. If your company is interested in sponsoring the Classic, please contact mississippiprospects@gmail.com. We sincerely appreciate your support of our youth and Mississippi Prospects. ©2019 Mississippi Prospects / SportsEngine. All Rights Reserved.